Home / education / We Are Almost There . . .
How quickly this year has passed! 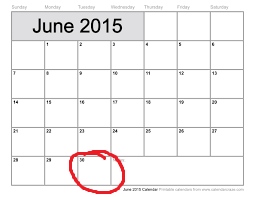 June 30 will mark the end of the 2014-2015 Toastmasters year. Have you reached your personal Toastmasters goals? Has your club reached its goals for the 2014-2015 Toastmasters year? If not, stay focused…keep trying…it’s not too late! There is still time to obtain the things needed to reach your goals. If the club needs more members, invite friends, relatives, co-workers (even people you do not know). Take full advantage of social media such as facebook, meet-up, and your club’s website. Have an open house or a special event meeting. Need more educational/leadership DCP goals? Schedule members who are close to reaching goals. They will be glad to achieve their goal and the club will benefit by earning a DCP goal. Need more speaking opportunities? Consider contacting other clubs and offering to be a guest speaker. Another idea is to have an all speech or extended time club meeting. The District’s success is a reflection of our clubs’ successes and club success is a reflection of its members’ successes. As the District’s top cheerleader, I urge you to work as a TEAM! Let’s sparkle at all levels! Previous Post LinkYouth Leadership Shining!Next Post LinkWorld Champions Score Again!